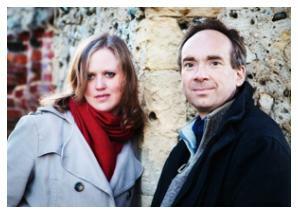 A Poet's Love: Schumann and Mendelssohn is an immersive weekend of concerts of German romanticism with music by Schumann and Mendelssohn at St John's Smith Square on 26 and 27 June 2015. The weekend will include tenor James Gilchrist and pianist Anna Tilbrook in Schumann's Liederkreis Op.39, Liederkreis Op. 24 and Dichterliebe, and James Gilchrist will be joined by Carolyn Sampson for Schumann's Myrten Op.25 and selected songs and duets. There is also chamber music by Schumann and Mendelssohn played by Ensemble Elata and viola player Philip Dukes, including Schumann's Piano Quartet and Piano Quintet, and Mendelsson's Octet. There is a concert on Friday evening, and then four concerts spread throughout the day on Saturday, along with a pre-concert talk where James Gilchrist will be talking to Richard Morrison.